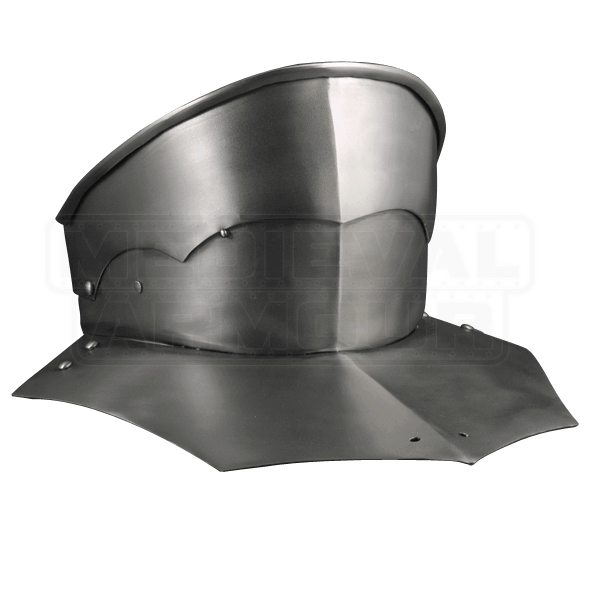 With a historic design hailing from the 15th century, the Steel Articulated Gorget is a great choice when it comes to keeping your neck and chest safe during combat. The bevor of this piece is articulated while the neck is rigid, providing sturdy protection. Made of 16 gauge steel, this armour piece is handcrafted, so the exact thickness of the steel may vary slightly. Unadorned and versatile in style, this piece is sure to be a fantastic addition to any reenactment armour set.